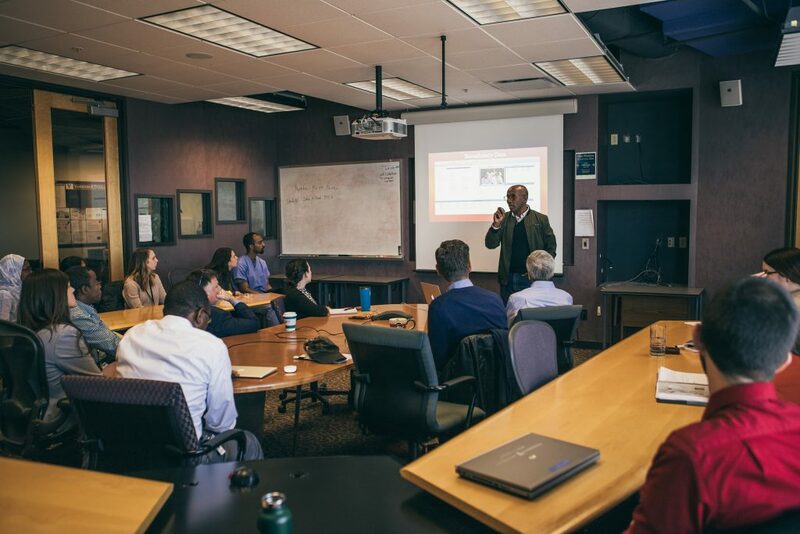 Recently our very own Teddy Alemayehu, Deputy Director, flew to Nashville from Addis Ababa to speak to a room full of physicians, students, professors, and researchers at Vanderbilt Institute for Global Health. Andy Warren, Founder & Executive Director, began the lecture by going through a brief overview of the history of Ethiopia ACT from its start in 2002. This first phase of development was during an age before Antiretroviral Treatment (ART) was available to those infected with AIDS/HIV. 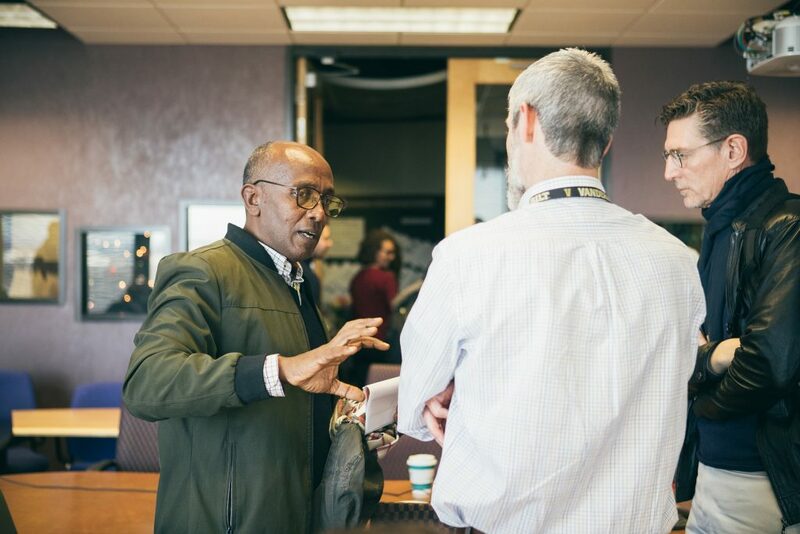 Andy discussed the primary concern of Ethiopians at the time was twofold: they wanted a proper burial (since they knew they were sick and dying) and they wanted to ensure that following their death, their children would be cared for, to connect them with family. Ethiopia ACT positioned themselves to be in the midst of the poorest and sickest for the longterm. This is where they learned how to care for the family as a whole, not only those who were dying from disease. However, while they did start administering care, they did not function as the primary care, but instead they partnered with local hospitals to help the government system improve. From its beginning ACT has placed a high value on being able to measure its impact. Not for academic purposes, but to report within the community of what was promised versus what was being delivered. Another high value has been placed on flexibility – the readiness to change a strategy contingent upon its success or lack thereof. Andy discussed the second phase of Ethiopia ACT’s development starting in 2005, after free ART treatment became available. Treatment adherence became the theme in this season, from sorting beneficiaries’ pills to creating a system to ensure beneficiaries took their pills at the correct time. Treatment adherence was vitally important to the effectiveness of the medication. Ethiopia ACT found that Timex watches set to an alarm was the most effective way to alert beneficiaries that it was time to take their medication. This system worked so well that Black Lion Hospital (local government hospital) approached ACT asking for help to develop an adherence program at the hospital. In Phase 3 of Ethiopia ACT’s development starting in 2013, Ethiopia ACT began moving and adapting. While no beneficiary was ready to graduate out of the assistance program, ACT began to experiment with strategies to move in that direction. To help a family financially, the most successful practices were: developing a savings account, distribute small business grants, and host business training. There was a lot of experimenting in this phase. In order to create a baseline of family need, ACT started visiting families’ homes conducting a survey. They found that beyond HIV and other diseases, the greatest hardships were in the realm of malnourished children and water/sanitation issues. In the current Phase 4 stage of development, Ethiopia ACT has grown into caring for non-HIV infected families. They have created basic income grants for beneficiaries who have applied by provided business plans. The most recent success has been in the implementation of a community based health insurance program, which took effect early 2019. After Andy’s overview of the history of Ethiopia ACT, Teddy took the stage in discussing the importance of data collection and research. He discussed the ideas and dreams Ethiopia ACT has to continue developing this area of impact reporting. Because ACT has always placed a high value on transparency, Teddy also discussed the difficulties and challenges Ethiopia ACT has had when it came to data collection. 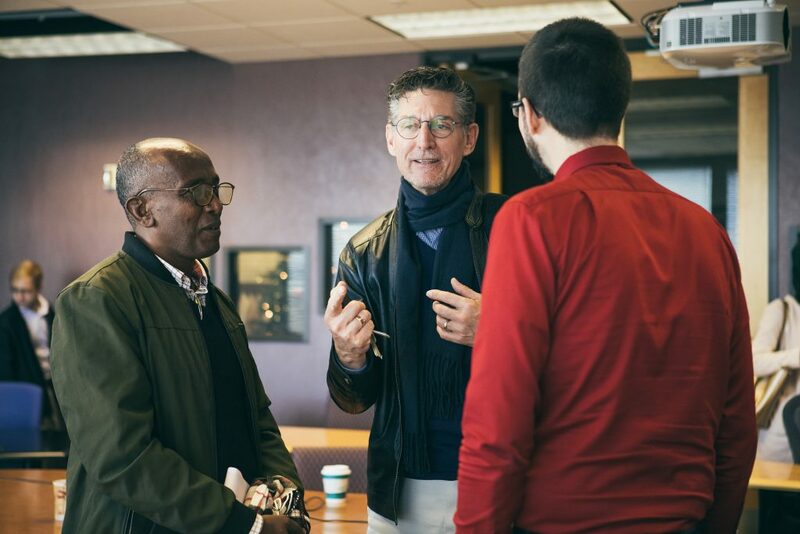 He discussed how cultural differences between Ethiopian systems and US systems made these challenges even greater. For example, Ethiopians often have many spellings for the same family name. This made organizing beneficiary information nearly impossible as one family could be in the system under multiple names. However, this difficulty illuminated the need to create a streamlined and organized catalog of beneficiary information. And that’s exactly what Ethiopia ACT did! By assigning a number ID to each family came clarity of data. Teddy discussed how the project staff goes out to collect family data, and through the use of wifi enabled tablets, they can go into the communities and homes to collect the data needed and then sync the information once they are connected to wireless internet. The data is reported to staff, board members, and the government on a monthly basis. Ethiopia ACT uses the data for research and to create a baseline of need, struggles, developments, etc. After Teddy’s presentation, the floor was opened to questions. The questions stayed within the realm of data collection. Teddy answered this by explaining Ethiopia ACT’s nurses work in partnership with Black Lion Hospital and other government health facility nurses. Based on a checklist, beneficiaries bring filled out information from health facilities back to Ethiopia ACT’s nurses to be updated within their records. 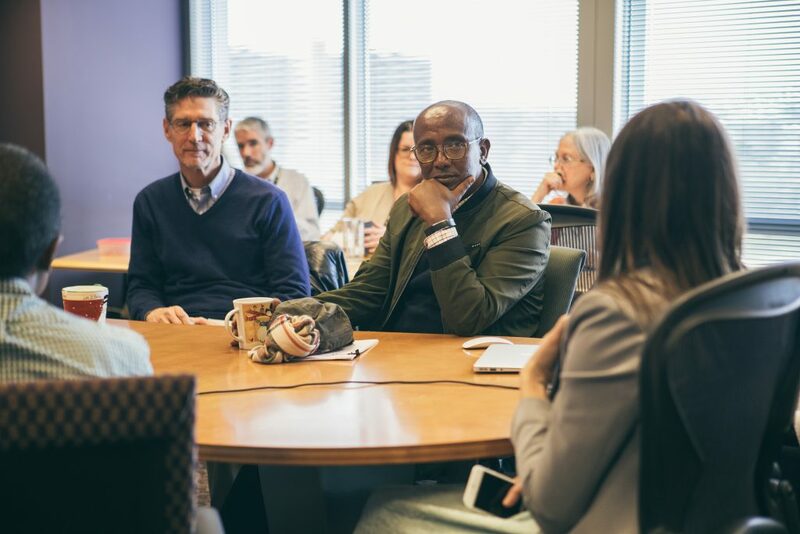 The discussion by Andy and Teddy at Vanderbilt Institute for Global Health was enlightening through hearing the immense importance something like data collection can have to the success of this project and ultimately the health of thousands of the most vulnerable in Addis Ababa, Ethiopia. This was a really interesting story. 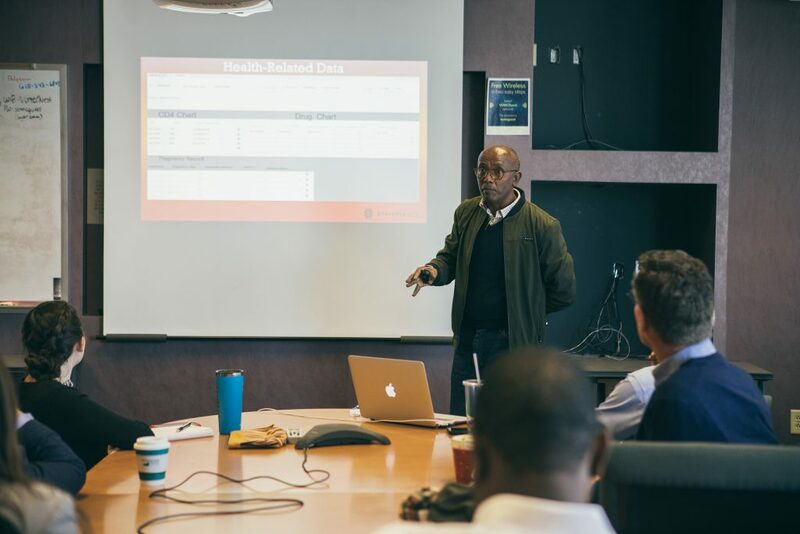 It was great that Teddy and Andy were able to share about data collection and its challenges in Ethiopia. I also liked hearing about the different stages of Ethiopia ACT.